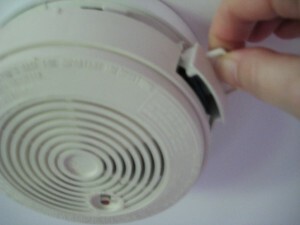 Maintaining your smoke detector can save your life in the event of a fire. Would you really risk your life for the sake of a couple of pounds – the cost of a new battery in your smoke alarm? If you are not sure how to do it then this easy guide on how to change a battery in a smoke alarm will make it very simple for you. It should only take you 2 minutes, providing you already have a new 9v, battery. Newer buildings have smoke alarms wired in to the mains. However you still need a battery in a mains powered smoke alarm. This provides a back-up if the mains power fails. 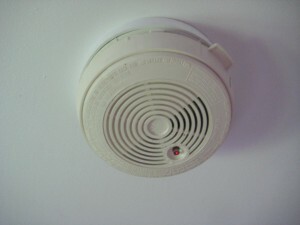 You will know when the battery needs changing on your smoke detector when it starts to sound a loud beep at intervals. Your alarm may look slightly different, but the process is very similar. 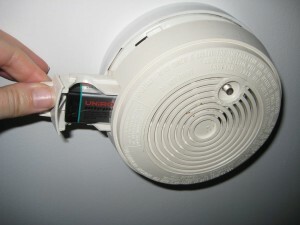 The featured smoke alarm is fitted with a small slide-out drawer. Yours may have a clip on the side which allows the whole top to lever off, or the top may twist off. The instructions are always printed on the alarm. 1. 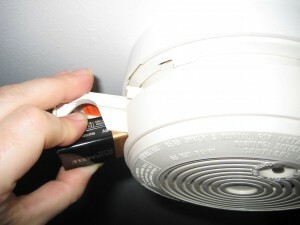 Check how your smoke alarm opens so you can get to the battery. Remove the top or slide out the drawer depending on your model. 2. 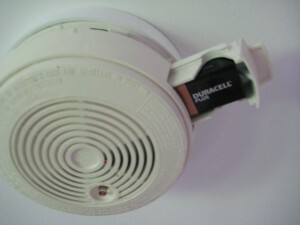 Most smoke detectors are fitted with a 9 volt battery, whether they are mains-powered or battery-powered smoke alarms. 3. Lever the battery out of the drawer, by firmly gripping the base and pulling out. Often it is quite tightly fitted into the drawer so you might need to use some pressure to remove it. 4. The drawer has markings to show where the negative and positive poles of the battery should go. Make sure you align these correctly when you fit the new battery. 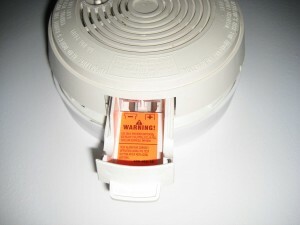 If your insert the battery into the smoke alarm the wrong way around it will not work. There is usually a warning in the drawer to make this clear. 5. Insert the new battery in the drawer, making sure you align the negative and positive poles correctly. Only replace the battery with a brand-new one. 6. Make sure the battery is firmly engaged. Close the drawer, if there is one, making sure it is fully closed. Otherwise replace the top. 7. 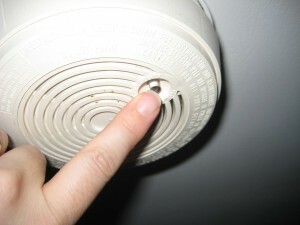 Press the test button on the top of the smoke detector, and the alarm should sound for a few seconds. 8. 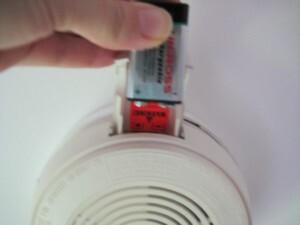 If the smoke alarm does not sound, check you have the battery in the right way round. If you do then try a new battery in case you picked up a discharged one by mistake. If it still does not work you should arrange to have the unit changed as quickly as possible. Always keep a spare new battery. Keep batteries in a dry environment away from extremes of temperature. Use a ladder when changing a battery in a smoke alarm, don’t try to balance on furniture. There are lots of answers to DIY and Home Improvement questions on our DIY Doctor Forum, it is free to join and it is monitored to ensure useful content and user safety.